John Caner, the director of the Downtown Berkeley Association (DBA) and Measure S campaign manager, acknowledged in a letter dated Sept. 19, 2013, to Berkeley’s Fair Campaign Practices Commission that shortly before last year’s election, he handed out more than $5,530 in $100 and $50 cash payments to more than 50 “poll workers,” many of them homeless and formerly homeless clients of Options Recovery Services, to distribute misleading slate fliers near polling places. Caner also acknowledged neglecting to report some campaign expenditures as required under Berkeley election law, which says campaign expenditures be made by check or credit card so that they can be traced. The Fair Campaign Practices Commission unanimously voted to investigate the Measure S campaign at their meeting at the North Berkeley Senior Center on Sept. 19, 2013. According to witnesses, many of the workers Caner hired had no idea that they were assisting the Measure S Campaign, an anti-homeless ballot initiative to make sitting down a crime. Measure S was defeated at the polls. The slate fliers distributed by the homeless “poll workers” did not identify the literature as coming from the Measure S campaign. “They thought they were working for the Obama campaign,” stated Zoning Board Commissioner Igor Tregub at the commission meeting, referring to the workers who sat by a large “Obama” sign handing out the inaccurate fliers. 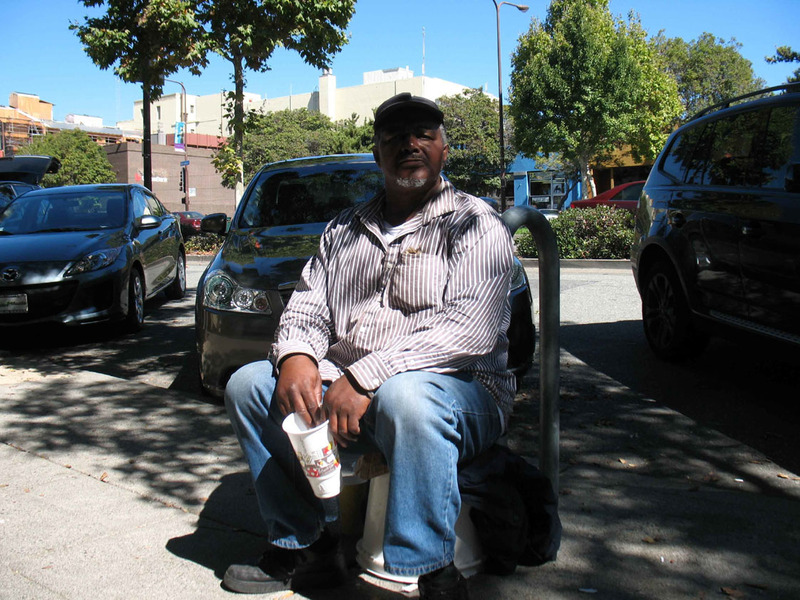 “I was quite disappointed,” Tregub said, pointing out that he was a member of the Berkeley Democratic Club. Evidence suggests the Berkeley Democratic Club contributed to the Measure S campaign without complying with reporting requirements. The Berkeley Democratic Club registered in 2010 as a “State General Purpose Committee” which commission staff interpreted as allowing it to file with the state rather than with local cities, but the Fair Campaign Practices Commission decided to investigate the issue. Caner did not attend the packed commission meeting on September 19. Roland Peterson, the executive director of the Telegraph Avenue Business Improvement District, spoke for the Measure S campaign and dismissed the violations as “groundless.” Caner’s letter, distributed at the Commission meeting, claimed the $5,530 in cash payments was done because he assumed the people he was hiring would not have bank accounts. Caner is described on the DBA’s website as having “over twenty years business, non-profit, and community development experience.” He serves on the board of the Aurora Theatre and Berkeley Alliance as well as the fundraising committees for the South Branch Library and Berkeley City College. Such experience would seem to make it unusual that his distribution of $5,530 in cash payments as a campaign manager could be characterized as accidental or due to inexperience. Caner’s letter stated that any violation was “inadvertent”, and that he promised to work closely with the commission to remedy any violations. Merchant associations across the nation typically lobby for anti-poor laws. They tend to want storefronts and public spaces to resemble what Paul Boden of the Western Regional Advocacy Project in San Francisco calls the “theme park” look: buckets of flowers, nobody looking poor or hungry so that shoppers are never forced to prioritize their spending between personal indulgence and community need. John Caner, as the CEO of the Downtown Berkeley Association, has only its board of directors to answer to regarding the electoral violations he committed as Measure S campaign manager, which were not specifically part of his role at the DBA but which cast a shadow on his judgment and leadership capabilities. Berkeley’s business community is forced, through the downtown Business Improvement District’s mandatory fees, to pay his salary, but has little input into the DBA’s leadership, priorities, or organization, according to a former board member. But the Fair Campaign Practices Commission does have jurisdiction over the complaint filed by Patricia Wall and Bob Offer-Westort, and can levy fines against the Measure S campaign manager and others if their investigation supports the complaint. Is It Illegal to Sit on the Street and Watch Clouds Go By?